Michael’s long and varied solo career in music has taken him all over the world, including recitals and opera galas in the Philippines, and concert tours in Brazil, China and Israel. A choral scholar at St John’s College, Cambridge, he entered the singing profession in his early thirties after a successful teaching career (head of Mathematics at a comprehensive school in West Sussex) and after a few years of vocal study won the first GKN English Song award in Brighton. Part of his prize was a critically acclaimed recital of English Song at the Wigmore Hall, London. He has given solo performances at most of the major festivals throughout Europe, and his numerous London appearances include Haydn’s Creation at the Barbican, Verdi’s Requiem at the Royal Albert Hall and Mahler’s 8th Symphony at the Royal Festival Hall. Michael’s commercial recordings include Handel’s Coronation Anthem and Bach’s B minor Mass. He has also recorded the part of Bam in Holliger’s short opera What Where. He has given numerous radio broadcasts and recitals, both on the BBC and abroad, whilst his TV appear­ances include Walton’s Belshazzar’s Feast at the RTE Irish proms. At the Royal Opera House he has given solo performances in Thérèse, Capriccio, Die Meistersinger (Ortel) and Salome. Elsewhere he was Dr P in The Man who Mistook his Wife for a Hat (Music Theatre Wales), Herald (The Burning Fiery Furnace) and Balstrode (Peter Grimes) – both with Kent Opera, Becket (Assassinio nella Cattedrale) with Oper Bergen in Norway and Tonio in I Pagliacci with Pimlico Opera. In his debut at Scottish Opera he created the role of Dundas (Horne: Friend of the People: world premiere 1999). Michael’s recent concert performances included Beethoven Choral Symphony at Canterbury Cathedral, Haydn’s Nelson Mass at Southwark Cathedral and Beverley Minster, Verdi’s Requiem at Chichester Cathedral and Elgar’s Dream of Gerontius at Ellesmere Port. He is currently preparing Schubert’s Winterreise song cycle for performances in Petersfield and Chichester next year. 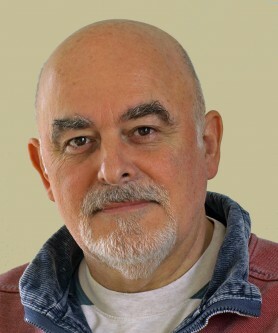 Michael moved to SW France in 2008 but returns frequently to the UK to perform in concerts around the country and teach at the University of Chichester.